The American Bar Association has stated that it is now ethical for lawyers to search publically available social media site information. Social media content can now be used to evaluate potential jurors and jurors in deliberation. Law firms, district attorneys, judges, special prosecutors and more are eligible to take advantage of these valuable reports. LocatePLUS, the leading provider of cost effective, personally identifiable information in the US, is proud to introduce the recently approved social media search for attorneys and the legal community. 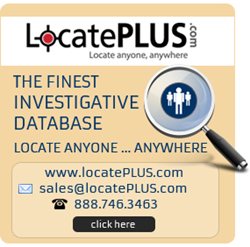 Additional LocatePLUS search features are designed to build complex cases and assist in a wide variety of investigations. Our proprietary online skip tracing database can be used wherever there is an Internet connection, whether in an office or on a mobile smartphone or tablet device. Subscribers have instant access to America’s #1 person and cell phone search. Investigators benefit from billions of updated online public records to conduct person, phone, address, email, social security, civil records, criminal background, property, assets, licenses and motor vehicle searches. 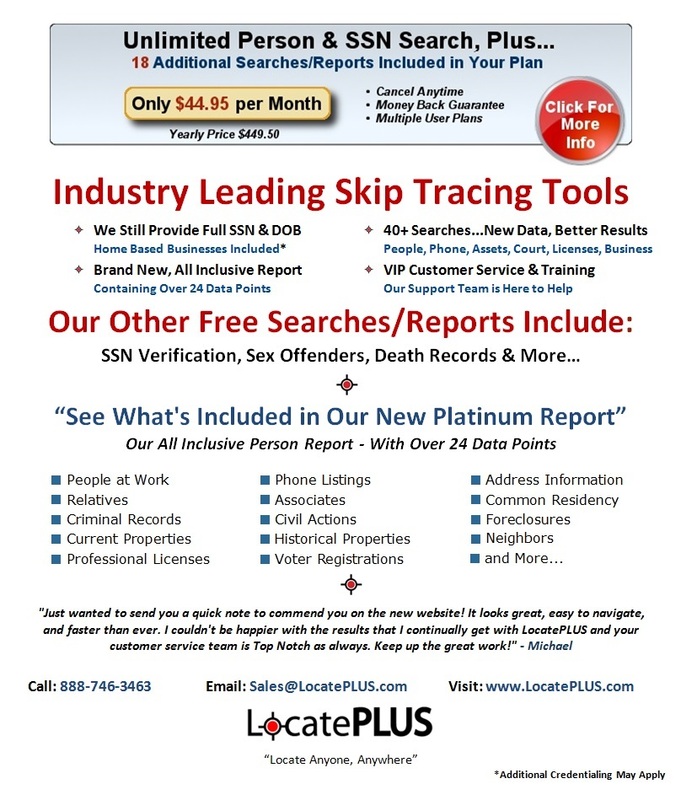 Investigative industries including law firms, attorneys, process servers, bail bondsmen, detectives, financial services, repossession agents, private investigators, law enforcement and qualified businesses can take advantage of a wide range of the LocatePLUS customizable due diligence tools and comprehensive reports. Background101.com FCRA certified employment background screening is available to qualified applicants. Background101 has been a leading provider of background screening information for more than 15 years. Please contact sales(at)background101(dot)com for more information. Terms, conditions and subscription details are subject to change without notice. Please contact sales or customer support for the latest information, free training options and package details.